Medical Microdermabrasion is a mild non-invasive treatment that will revitalise and rejuvenate skin without any downtime or side effects. Skin will appear fresher while the appearance of fine lines wrinkles, ‘crows feet’, age spots and acne scars will be reduced leaving you with natural looking results instantly. 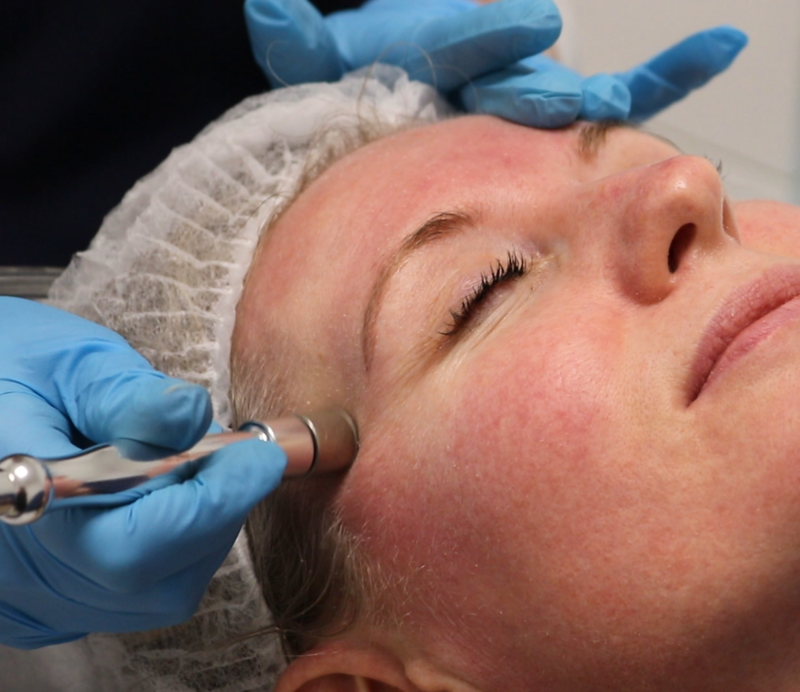 Microdermabrasion offers a quick way to improve the texture and appearance of your skin, to minimise uneven pigmentation and sun damage and to unblock blackheads. 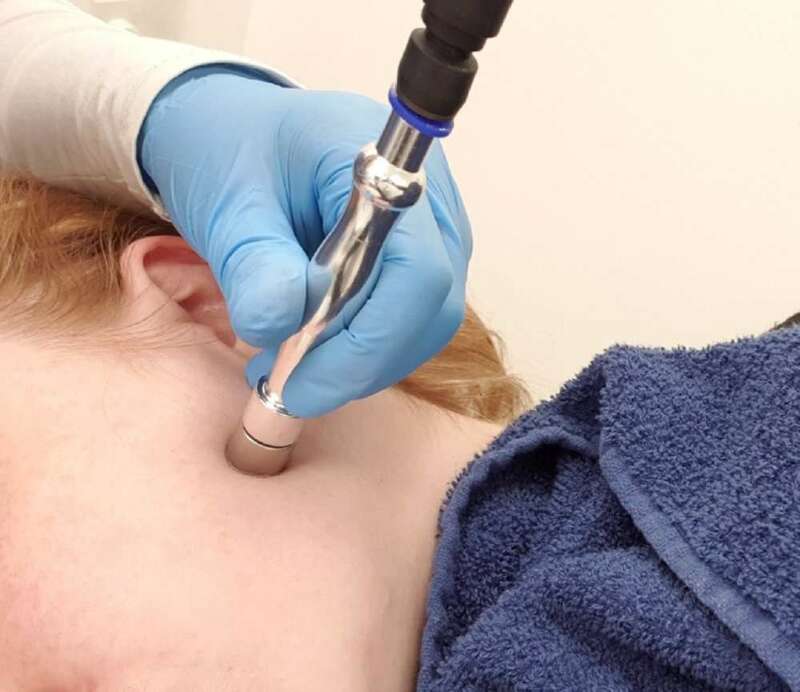 At ClearSkin we use a unique medical grade machine that combines vacuum suction, ultrasound (for further penetration of products) and a medical grade diamond tip to remove dead superficial skin giving clarity to a congested complexion. The Diamond Tip action removes dull dead skin assisting in clarity improving skin problem from pimples, whiteheads & mild acne. The suction and ultrasound massage encourages new collagen production giving skin a plumper and fresher luminous glow. ClearSkin use “crystal free” diamond tips Microdermabrasion machines for a maximum uniform exfoliation of the skin. Why not get maximum results from your microdermabrasion with us by combining it with another treatment? For dull ageing skin a vitamin infusion or LED Light therapy facial work well in conjunction with the Microdermabrasion. When treating pimples, whiteheads and acne for maximum results a Facial Peel, IPL and LED Light Therapy are recommended. Microdermabrasion is a non invasive treatment to remove dead skin cells from your face. You may feel some slight discomfort during the treatment but it is not painful. After the treatment your skin should feel smoother with the removal of any dead skin and refreshed. You will notice a difference after just one treatment, but to achieve optimum results and keep your skin looking its very best; we recommend weekly treatments for 10 weeks then maintenance treatments every 4-6 weeks. If you are only having a microdermabrasion treatment alone, there is no downtime associated with the treatment. If you are combining treatments your therapist will advise you if there is any additional downtime to be considered.